What is the difference between an illustration and a photograph? Not so well defined as it was before the digital age. I am reminded of high-school biology lesson when the question was ‘What’s the difference between an animal and a vegetable?’ Nothing like as obvious as it sounds. Nowadays Photoshop has blurred the distictions between illustration and photography to such an extent that the printed picture may no longer be a photo in the conventional sense. But what is it about the above photograph that is quite unlike a painting? Depth of field. I have never seen a Dutch Master or even a modern realist paint with low depth of field. 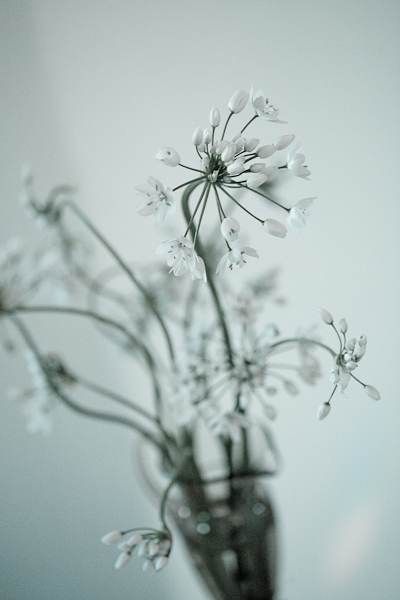 Wild Garlic was taken with a Canon 100mm 2.8 macro lens wide open.